Tired of rubber bands snapping? Well, the world’s strongest and cutting-edge wonder material, graphene, now to be used in making them "unbreakable". Ever remember the last time you used a rubber band? It’s one of the many small things in life we tend to overlook importance-wise, but when you think of them-they are actually a necessity. First, rubber bands hold a bunch of stuff together like pencils, flower heads to make them beautifully arranged in a vase, or slices of apples to prevent them from browning. 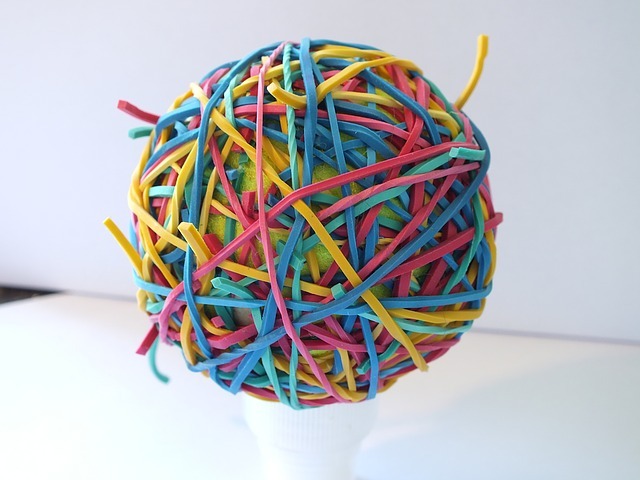 Rubber bands are also great for designing Easter eggs and tie-dye clothes. Just wrap them around eggs or shirts in different directions before dipping in dye and in no time you’ll have the creation of unique patterns thanks to this convenient product. Protection for your remote control. Yes, we tend to drop remote controls often and this ‘accidents’ sometimes result in cracks or scratches on some of our home furniture. Aside from that, the batteries often come out too causing more damage and inconvenience. To eliminate these unnecessary worries, all you need to do is wrap some rubber bands around the ends of your remote control and it’s an instant protector. Instant tripod. Want to do a video-recording of yourself, but you don’t have a tripod? Simply get fasten your phone to a stationary object with a rubber band and position it at an angle that will frame you most attractively. Voila! You can send your instant videos to family and friends. Save on liquid soap. If you have kids, you know how they tend to over-pump liquid soap which, aside from extra money getting wasted, creates a lot of mess. You can prevent this unnecessary headache by simply wrapping a rubber band around the pump and it automatically controls the amount of liquid soap that gets pumped out. Lid gripper. Another headache in the kitchen is opening hard-to-twist lids. This dilemma can be easily solved by wrapping a rubber around the stubborn lid. It’s easier to grasp and twist! Baby-proofing cabinets and cupboards. If you have a toddler at home, you know how inquisitive they get. They open cabinets, cupboards, just about anything and tend to bump their heads with their doors. Worse, you’re afraid that your baby may hide him/herself inside a cupboard one day and god forbid runs the risk of getting suffocated somehow. Secure these furniture by wrapping rubber bands between handles and knobs. Removing stripped screw. It’s very difficult to remove stripped screws, but a rubber band can help by you placing it on the head of the screw and then your simply twisting it out. Keeping your home more organized. Electric cords, ribbons, and other little things which get unspooled can be easily secured with rubber bands then kept in drawers. See, you suddenly remember how important rubber bands are. And they are also a great help at work where a lot of things need to be sorted out, tightly-secured, and organized. Now, the big news for everyone! Rubber bands’ biggest manufacturer, Alliance Rubber Co., a company headquartered in Hot Springs, Arkansas, plans to infuse graphene in their main product to make them not only incredibly strong, but also build them in such a way that they can pretty much last forever. Graphene is a material with super properties that just happens to be the strongest material on earth! It is harder than diamond and 200x stronger than steel. But, the extremely thin sheet of carbon atoms is also light, thin, and elastic. Graphene is obtained from graphite, which is a naturally-occurring form of crystalline carbon. It has a honeycomb lattice structure that measures only one atom thick and weighs only 0.77 milligrams per square meter. The two-dimensional material was discovered by Professor Andre Geim and Professor Kostya Novoselov of the University of Manchester when they obtained graphene from a piece of graphite. The discovery led to them winning the Nobel Prize in Physics in 2010. The discovery of graphene as the strongest substance known to humans is certainly important. We can now look forward to super-thin, shock-proof touchscreens, super capacitors that can replace batteries and optimize solar cells, super-efficient bionic devices, graphene-based computers with 1000x speed and efficiency, and many other amazing applications. It will also be super-amazing when graphene becomes a component of rubber band. It will not only make these elastic bands much, much stronger to the point of them being unbreakable, but this new type of band can make a whole lot of difference in the electronics and food industries. According to Risner, Radio-Frequency Identification (RFID) could also be implanted in graphene-infused rubber bands. This will help farmers and grocers in observing quality of agricultural products to be sold. “Imagine a rubber band that changes colors if it reaches above 95 degrees Fahrenheit,” Risner said as he pointed out the importance of a rubber band’s additional function as a traceable device. Spoilage of agricultural yields does happen faster under high temperature. The capacity of a graphene-infused rubber band to indicate temperature will help sellers and customers in selecting quality, fresh produce. Farmers will also find it easier to keep track of their products’ condition when making deliveries. Partnering with researchers from the University of Sussex, Alliance now looks forward to finding the perfect ratio of graphene to rubber. Once the formula is discovered, their company’s new rubber band will not only be super-durable, it can even perform efficiently as a traceable device.